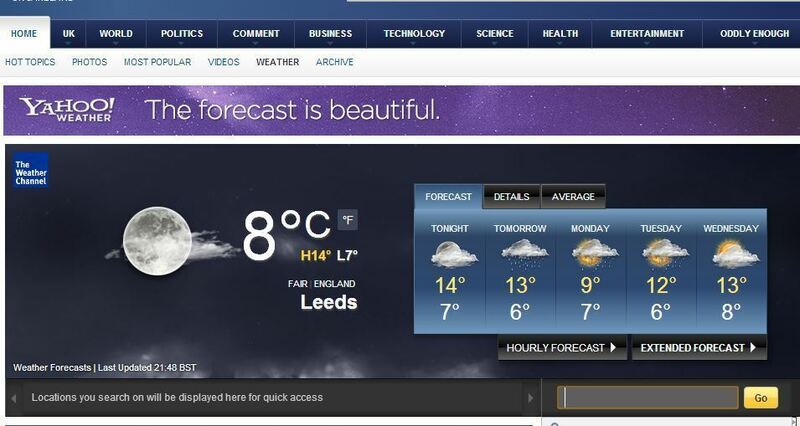 This project combines a Python Parser and Weather information pulled down from Yahoo Weather page. A Parser is the process of analysing a string of symbols. First go to the Yahoo Weather Website and enter the location where you want to draw the weather data from, eg London. In the address bar there will be a 5 digit number that denotes the ID of the location, for example London is http://uk.weather.yahoo.com/united-kingdom/england/london-44418/, ID number 44418, you will need the ID number for your own location.